Was von Neumann wrong about randomness? Don't believe any of it! 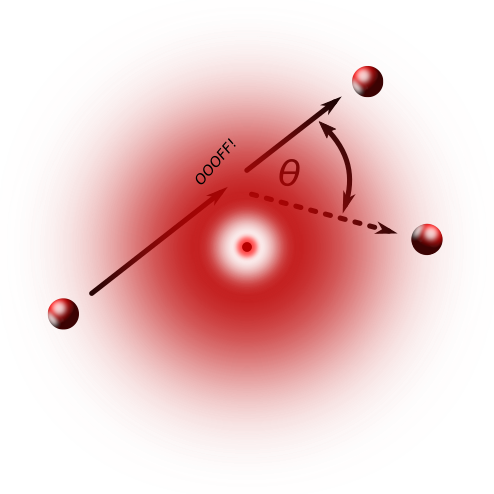 Potential electron collision within an atom. We can’t possibly predict the exact path of the loose electron due to the Observer effect. And we can’t possibly predict if it will pass though unaffected or be deflected by another electron within an orbital. And finally, there is no physical way to determine the angle of deflection if it were to collide with another electron. By deduction, the angle is stochastic as well. This might all seem somewhat abstract with little relevance to the physical world and a TRNG. But the important thing to realise is that due to the above, the electrical noise on a Zener diode in Avalanche breakdown is fundamentally unpredictable by science. It’s not a question of measurement accuracy, or the sensitivity of the measuring instruments. It is truly random by nature and even God himself cannot predict it, much less three or four letter named agencies (NSA /BBC /GCHQ). This implication is worth dwelling upon. So a very simple home made entropy source can be just as fundementally random as the very best commercial or laboratory quantum RNGs. Yes, they will be slightly faster (a laboratory 2.7Tbit/s TRNG is here), but still only as random as yours. Quintessence 1Gbit/s commercial TRNG costing Â£oodles. 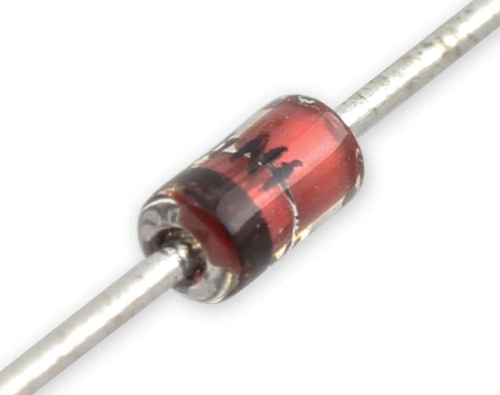 A glass encapsulated Zener diode costing 10p. We focus on this equivalence as the marketing departments of the various TRNG providers would have you believe that unless a laser is involved in some quantum fashion, an entropy source built around a simple diode cannot be as random as theirs. That’s called FUD (Fear, Uncertainty & Doubt). Rubbish. The NIST organisation stretches this only by quantum laser mantra to ridiculous lengths promoting their randomness beacon. Infallible measurements on laser beams outside of light cones sound very convincing, but appreciate the innner quantum effects within a humble diode and their inherent unequivocal randomness. The TRNG with a personality ERNIE has been generating true random numbers via diode noise on behalf of the British government since 1956, and has safely awarded Â£18B in prize money. Perfectly randomly.